2. 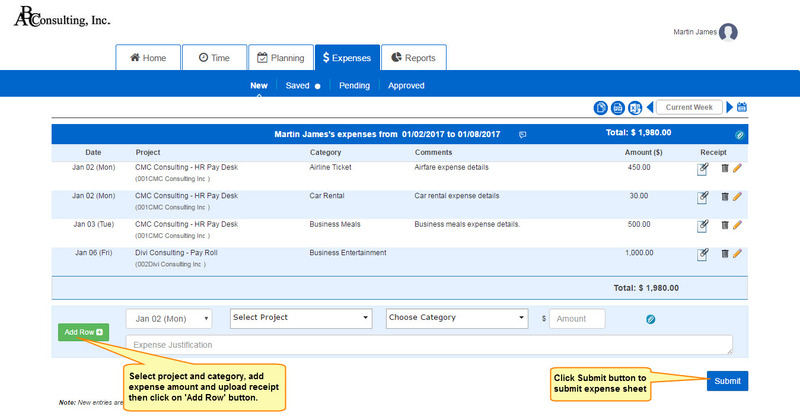 Under New, select project, category of expense and enter amount. Copy or download expenses by clicking on respective icons located on the top right hand side. In Expense Justification, enter comments. Click Submit. 3. Under Saved, you can check expenses over a period. 4. Under Pending, check approval or rejection status. 5. Under Approved, find the details of approved expenses.